Hey Coffeeholics! Its been a while. Finally after several weeks in moving in our new house, we have wifi! wooohoo! I've been surviving theses past few weeks on mobile internet which has been awesome but not good enough for blogging. 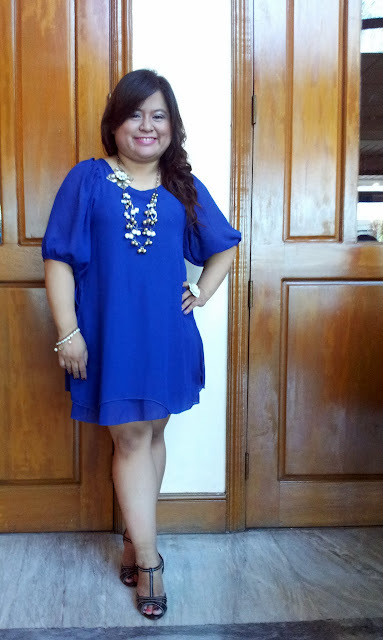 Anyway as my kickoff for April, I'm blogging about the outfit that I wore for our School's Recognition/Graduation day. Yep, we always dress up for our Recognition day and its really wonderful to see everyone wearing fabulous clothing besides our uniforms. 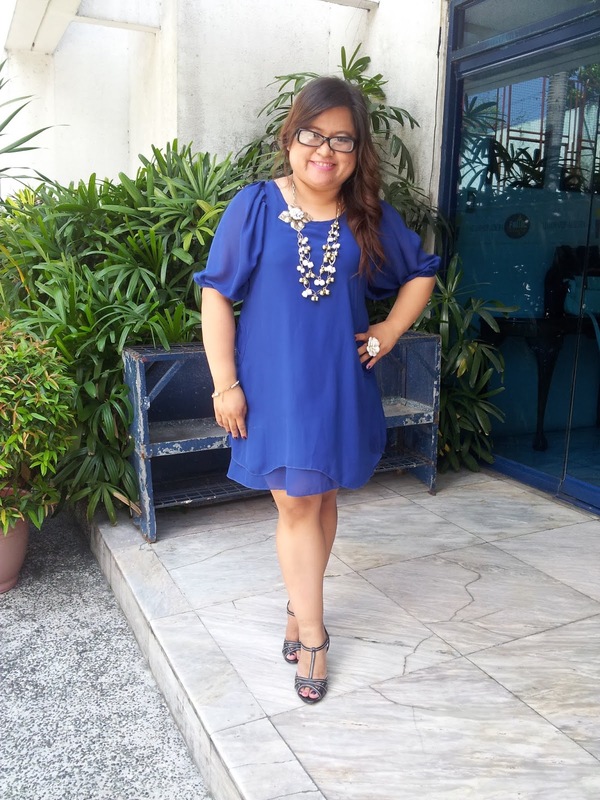 I originally planned to wear black (hahaha.. black is always flattering! LOL) but when I saw this dress I couldn't resist! Its soooo blue that it felt soooo cool to wear for a daytime event plus perfect for the withering hot weather. 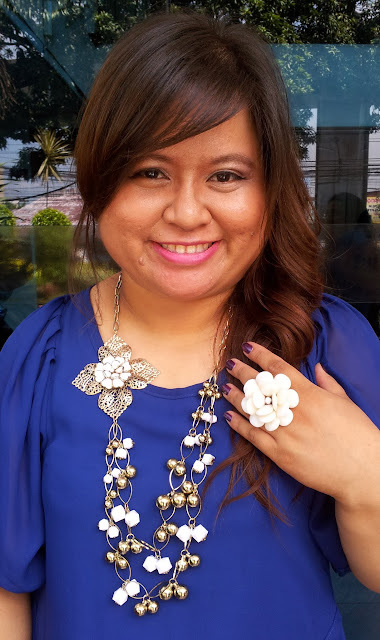 It was pretty plain but became the perfect thing to set off my beautiful gold and white necklace thanks to SM ACCESSORIES! I absolutely loved it and everyone who saw me couldn't help admiring my necklace too. Anyway I'm absolutely fascinated with blue recently. Maybe the color is helping me to feel cool (grabe ang ineeeeet noh?) since I couldn't wear blue clothing everyday I decided my nails would just have to do. 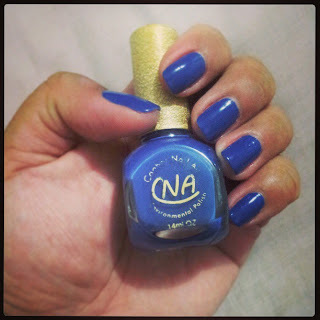 For some reason, this particular shade of blue reminds me of swimming in a pool! LOL. 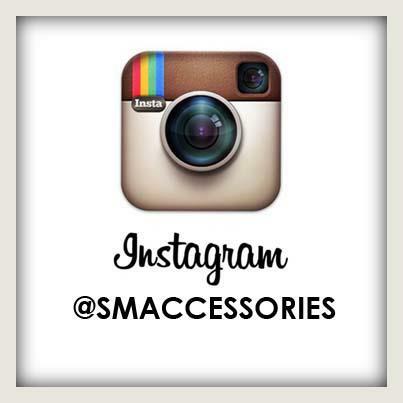 Anyway just in case you don't know it yet, SM Accessories is on instagram! Follow and be updated on what's latest from SM Accessories - the fashion authority. Have a great day!